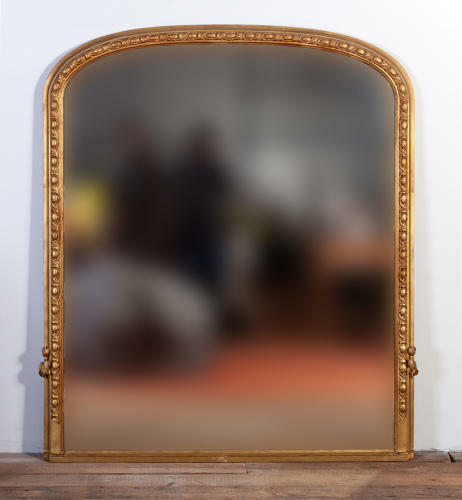 Late Victorian overmantel mirror. A nice example of a classic English Egg and Dart arched top moulded Giltwood frame. 4ft wide. Original Plate Glass.